The programme-maker’s transition to file-based production this year contained more ups and downs than a game of snakes and ladders. While the tape shortages that followed Japan’s tsunami in April accelerated the move to tape-free TV, the November floods that hit Thailand (see timeline) now threaten to put the brakes on. Those at the production coalface also realised that - in the short term at least - the move to file-based workflows is not going to save them any money. While the cameras might be cheaper than their tape-based equivalents, the cards, workflow and delivery requirements all need capital investment, which some of the smaller companies are still struggling with. The DPP has made great strides this year in terms of setting standards for the delivery of tape-based HD and SD material. 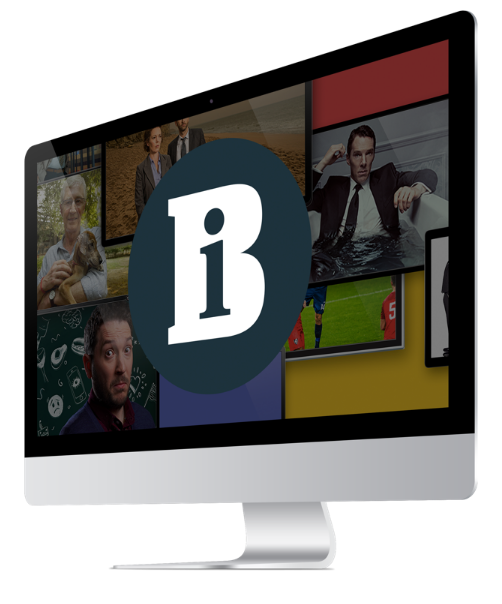 It has also announced that from 2012, the BBC, ITV and C4 will begin to take delivery of programmes as files on a selective basis, while file-based delivery will be the broadcasters’ preferred option by 2014. The DPP expects to announce a common standard for delivery of file-based programmes next month. For many, however, tapeless delivery is still a pipe dream. “File-based delivery is the missing link in the chain and it’s difficult to see how it’s going to happen,” admits Niall Duffy, managing director at workflow systems integration house and consultancy Mediasmiths. The high-bandwidth secure fibre connections needed to deliver digitally require an initial start-up cost of around £20,000 and Harrison thinks this is where post houses are going to be key. Some facilities are already bucking this trend - The Farm Group, for example, is looking at wider uses for its own secure delivery and approvals service, Fred, currently used on shows such as The X Factor and The Story Of Tracy Beaker. According to Duffy, production companies are likely to face “serious IT infrastructure challenges” in the year ahead, especially with companies that have bought the cameras, cards and drives but given little consideration to the short- and long-term storage requirements. “There’s a lot of video on IT systems but then the problem is that it’s going to get too big. And I also guarantee that if you’ve got lots of hard drives knocking around, sooner of later something’s going to go wrong - and we are starting to see that now,” says Duffy. Camera-wise, 2011 has been “the year of Alexa”, according to Peter Savage, managing director of leasing company Azule Finance. Arri’s answer to the Red One is particularly sought-after among the drama crowd on high-end productions such as Downton Abbey. Savage predicts that next year, SLR manufacturers such as Canon will muscle in on this territory with lower price point cameras. In Los Angeles last month, Canon launched the Cinema EOS system, which retails for around 25,000 (£21,000). If this is taken up by a couple of big BBC dramas, it could give the Alexa a run for its money. In popular factual, Sony’s memory-card based PMW500 is proving a well-used workhorse - with Talkback’s Escape To The Country now producing 80 episodes a year with it. Other shows using the camera include Sky Atlantic’s Fish Town and CBBC’s natural history show Deadly 360. According to Sony product manager David Young, the increase in Sony’s card-based offerings has not eaten into the manufacturer’s disc-based business - which is still popular with larger light-entertainment vehicles such as The X Factor and The Apprentice. Indeed, many producers have commented that it is so much easier to make the leap into file-based production knowing you have a physical disc you can remove at the end of the day. A mini version of the disc-based camera would be a dream for many popular factual producers, but Young would not be drawn on any future product developments. Last year, Maverick Television made the simultaneous transition from SD to HD and tapeless. According to head of post-production and facilities Donna Mulvey- Jones, the decision was based largely around the fact that “shooting file-based HD is cheaper than shooting tape-based HD”, although she admits that it initially felt like a double cost for which they could not charge clients any extra. Canon’s XF305 file-based camcorder and a mix of compact flash cards and Sony’s SxS cards replaced the indie’s usual DV CAM acquisition format. Transferring the footage onto hard drives as quickly as possible so that the media can then be reused is a fact of life for fi le-based productions. Once the footage has been transferred, it is then handed to Maverick’s in-house facilities and two copies are backed up onto LTO. While storage onto magnetic tape is relatively cheap if the facility is already set up to make the conversion, Mulvey-Jones points out that the media management involved in making back-up copies can be time-consuming.